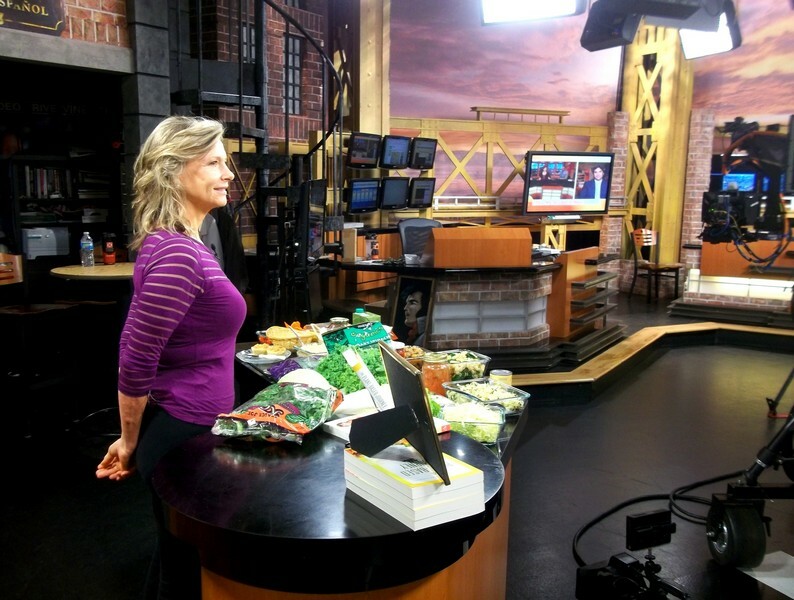 In this five minute segment, filmed live during CBS TV Good Day Sacramento earlier this week, I demonstrate five superfast ways to plantify your plate. 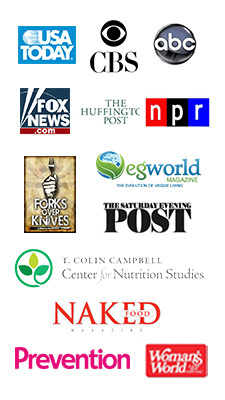 Double click on the video image below to watch this five minute segment. No matter where you land on the dietary continuum, we all agree that it’s important to get more whole plant foods onto our plates – and into our bodies! Are You a Lazy Cook? 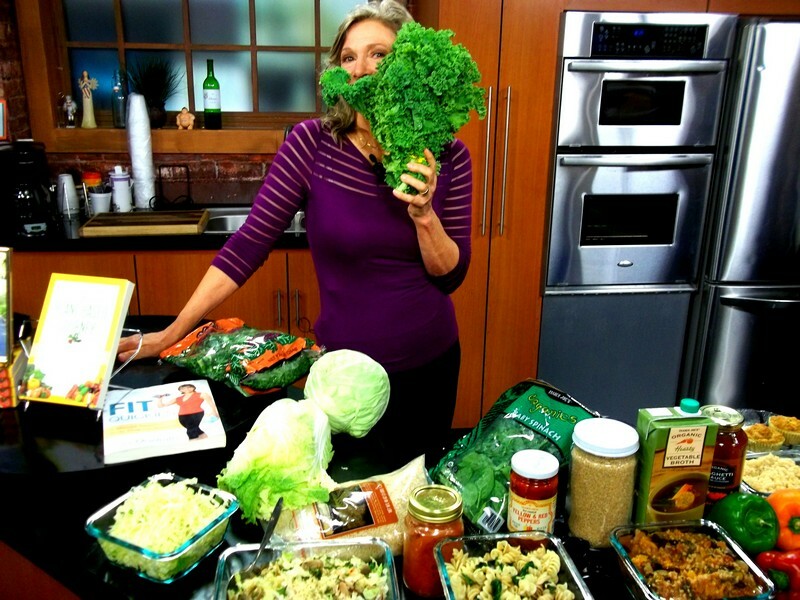 If you – like me – find that your eyes glaze over when a recipe has a long list of ingredients, then these simple methods of adding more fresh vegetables and greens to everyday foods – I call it “plantifying” your plate – will have an instant appeal. 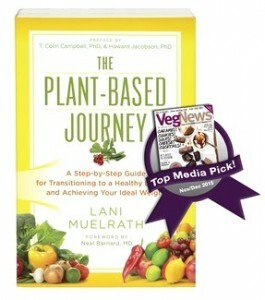 You’ll find dozens of ideas for easy meal prep, simple recipe templates, swap-outs and more in The Plant-Based Journey: A Step-by-Step Guide to Transition to a Healthy Lifestyle and Achiever Your Ideal Weight. In this short presentation, I demonstrate several of them. 1. Fold handfuls of finely shredded cabbage, chopped spinach or kale into brown rice, other freshly cooked whole grains or pasta. It will warm and slightly wilt the vegetable, adding a little crunch, color, and all the goods that come with greens. 2. 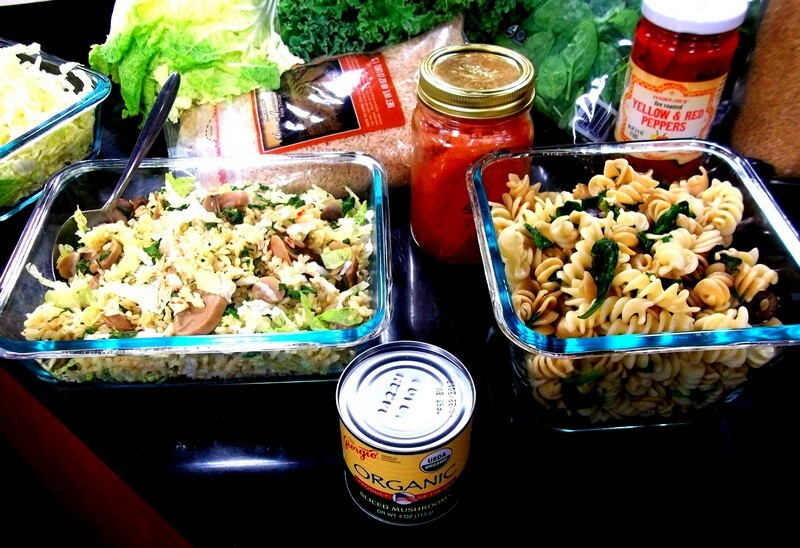 Drain pasta and fold in baby spinach or basil leaves. 3. Drop baby kale or greens into a pot of hot soup or chili, stirring lightly to cook. 4. 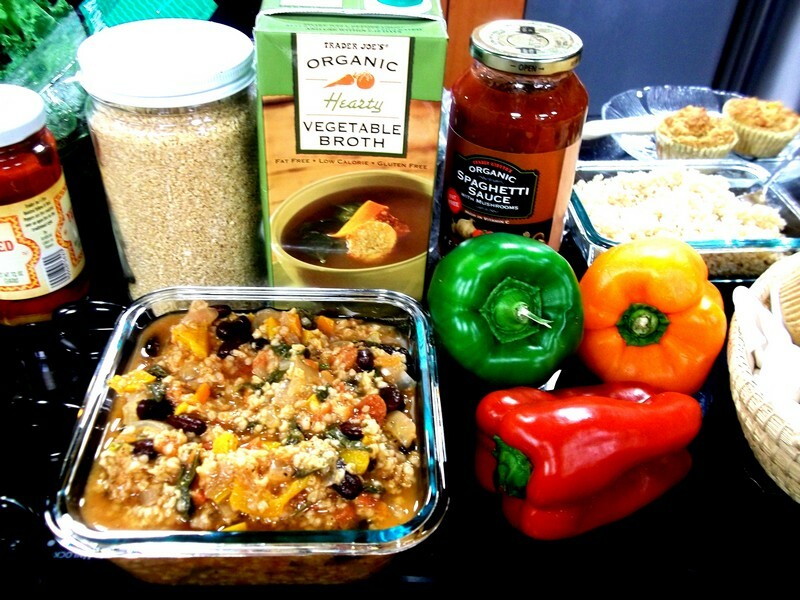 Use bulghur wheat in place of beef to make meaty-textured chili or spaghetti sauce. 5. 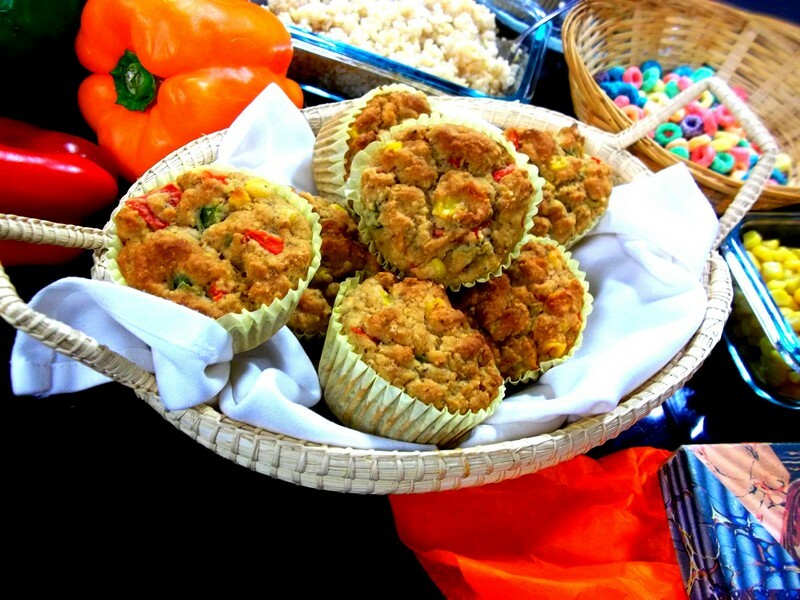 Fold whole kernels of cooked corn and/or chopped red and green peppers into corn bread batter before baking. Extra flavor, a fiesta feel, and more whole plant foods on your plate! Watch for the Upcoming Holiday Show! 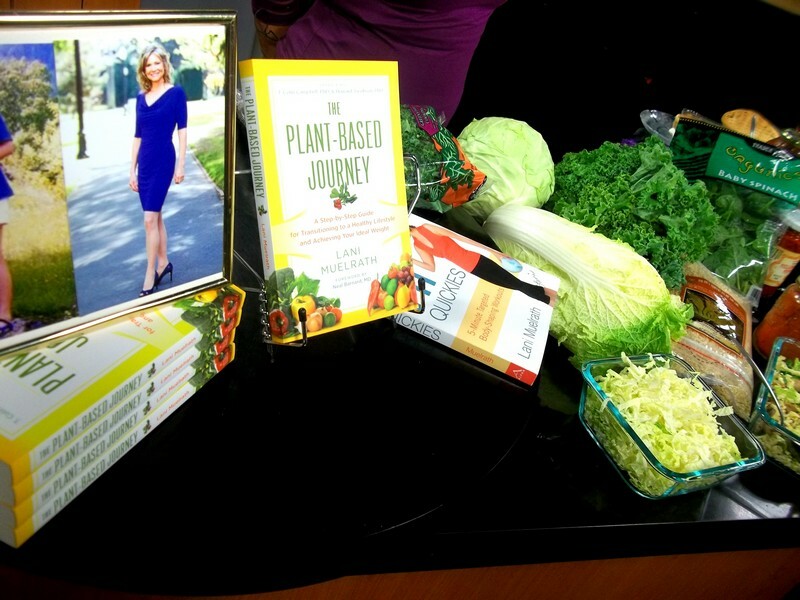 We had such a good time with this plantify-your-plate presentation that the station asked me back right away to present “Healthy Whole Foods Holiday Treats” as the holidays approach. Stay tuned. Enjoy what you eat! 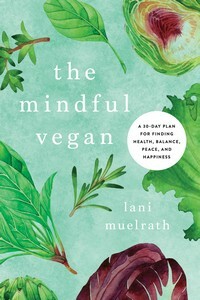 Lani, this is fantastic! Not only are all the tips great – you did a fabulous job! Everything looked fun and delicious. I can’t wait for the holiday segment! Do you know when you will be on again – what the date is? Janette, well thank you! This WAS so much fun. And the cast and crew were so excited about the truffles and gobbled them up! Holiday show is scheduled for November 2! I’ll keep you posted. Janette, holiday segments is scheduled for Monday November 2! Thanks for the feedback on segment one, it was truly so much fun, the cast and crew are great! This is great! What time of day did this run? I know it said morning show, but what time was it? The whole set looks colorful and very well done. Perfect! Hi Catherine! This ran on air live at about 8:20 California time. Glad you like it and thanks for stopping in! Catherine, it was a little before 8:30 a.m. I am so glad you approve! Thanks!